Hallmarked 9ct Yellow Gold - total metal weight 2.311 grams. 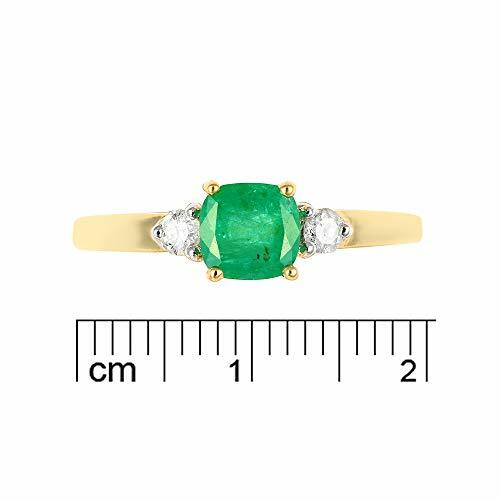 Genuine gemstones: 1 x round cut Emerald totalling 0.756 carats, with 2 x Diamond accents totalling 0.756 carats (DIA stamped). Ring comes in a branded box with care card.